“Karibu, rafiki. Rafiki means friend.! 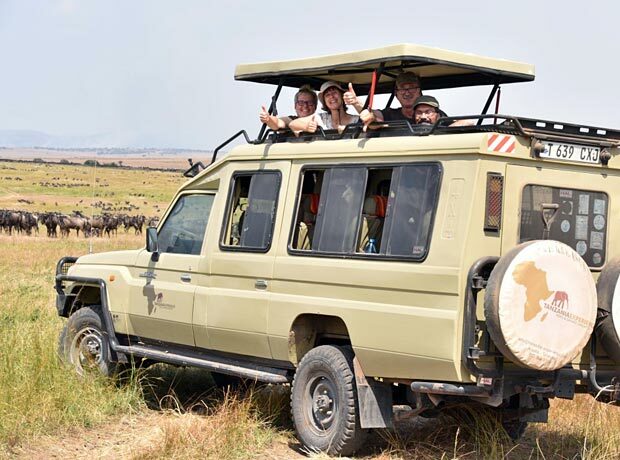 Tanzania-Experience convinced us with their very detailed website and thorough descriptions of country and national parks and of course their great fleet of vehicles. Their flexibility when putting together our itinerary and high expertise when answering all our questions gave us a great feeling – we had chosen the right partner. Even when comparing prices, Tanzania-Experience was ahead of the others. A safari is expensive, but afterwards you will be rich. Thank you, Alexandra Lindinger, who put together our 6-day dream safari with a German-speaking guide, plus onward flight to Zanzibar. Our next words of thanks go to Andrew Cowie, who over breakfast briefed us with humour and calm for our upcoming safari. We were quite proud how well prepared we thought us to be, when Andrew explained that our functional anti-mosquito clothing was in fact not very functional at all. 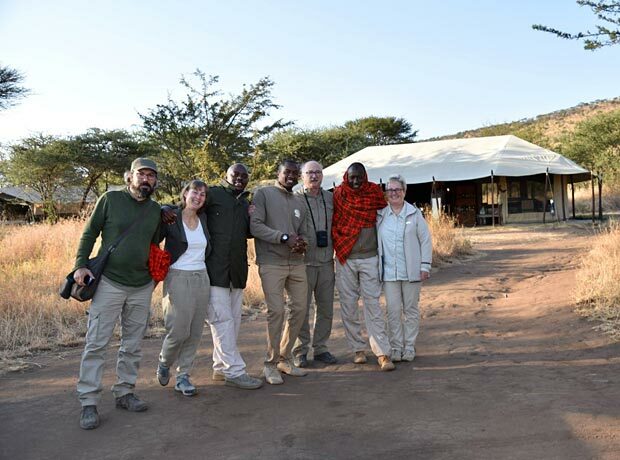 Cheerful and excited, we embarked on our safari towards Tarangire National Park together with our Guide Daniel. From the very beginning we felt very comfortable in the car with Daniel and were very happy about the easy communication in German, which was a relief especially for my parents. Daniel encouraged us to ask any question any time and I can’t remember a single one which he couldn’t answer. We learned a lot about Tanzania and the different national parks, about the people, their culture and their language. Daniel was not only our guide who took us to the Ngorongoro Crater and all the way to the North of the Serengeti, he was our companion and fifth family member. In his calm manner and over the course of six days, he showed us every animal and we still can’t quite believe that we were fortunate enough to witness the Great Migration of 1.5 million wildebeest and zebras at the Mara River. We had wonderful accommodations and wonderful hosts. My father had his very own way to show how welcomed he felt, greeting everyone he met with a cheerful “Jambo” and my mother, the camping hater in our group, still raves about the bush shower today. On the first morning, I had ordered my shower for 6:30am and Jackson who took care of the showers greeted me with a cheerful “Karibu, Rafiki.” He asked if I knew what Rafiki meant. I didn’t. “Rafiki means friend.” This short moment went right to my heart. After our safari to Tanzania, we know that it’s not only the landscapes and breathtaking wildlife that made this trip so special. It was the people who accompanied us and who made every moment, from beginning to end unforgettable and unique. Thank you, Tanzania-Experience. Asante sana.